I have a white screen upon startup. I was able to use my laptop when plugging the VGA cable in the back to an external monitor but that only works with a few tries. I notice if i put my laptop on sleep for less than 2 hours the external monitor works. Any time longer and I have to start the process of removing and inserting the plug and playing with my external monitor so it can detect a signal, it usually takes a few tries and a few minutes. The white screen is always on my laptop throughout the process and even when the external monitor works. Just determining if i should replace me screen or ribbon video cable or check my connection to my vga cable or could it be my motherboard. We need to isolate if the issue is with the LCD or the video card. So, turn off the system - press and hold the "d" + power key to turn it back on - this should initiate the LCD built in self test. You should see a screen with solid changing colors and the system would beep. If you see this - the LCD is fine. If you do not see the colors changing - then repeat the step again - but this time - swivel the LCD back and forth and see if there is any display. If the display is intermittent then the LCD cable needs reseating/replacing. Also, turn off the system and press and hold the "fn" key + power button to turn it back on - wait for a few minutes. If you do not see any display, the system should start beeping. Count the number of beeps per cycle. At any point if you see the screen with solid colors changing - the LCD is fine. The issue is with the video card/motherboard. If do not see the changing colors - then we would suspect the LCD. Test the system with another VGA cable for the external monitor. If the system is under warranty, then please send me the service tag of the system and your contact details through a private conversation. 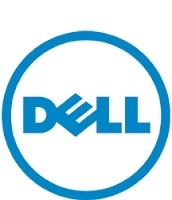 Or you could use twitter - @dellcares - we can DM through twitter and help you fix the issue. I tried the first test with the power button and d nothing just and white screen. Then I did and the same test nothing even when moving the screen. Then the fn key and power button then screen flickered once but turned to white but now I heard 8 loud beeps. No colors changing through any of the tests. The screen works when plugged into monitor. Check the following LCD cables. 8 beeps is a LCD failure. Hence the error message you see during diags. If the system is under warranty, we can book a service call. If there is no warranty, you can try replacing the LCD cable first. If the issue is not resolved, you may need to replace the LCD as well. If you like, we can provide you with a quote for a paid service call. P.S. DM in twitter means - Direct Message. I have the same problem and when I followed your steps. No response with the "d" + power key. When I held the fn key method. after lots of what seemed like random beeps it settled on 3 beeps repeating over and over.